Located on the banks of River Vaigai, Madurai is one of the most visited tourist destinations of South India known for its rich culture and heritage. The name Madurai has originated from “Madhura” meaning sweetness, believed to be the nectar showered by Lord Shiva on this Sleepless city from his matted hair. With a history dated back to 3rd century BC, Madurai is one of the oldest cities of India with great historical and cultural importance. Known as the Temple city, Madurai is famous for its numerous temples, especially the Meenakshi Amman temple. One can see a huge number of tourists visiting this temple from all over the country. Religious tourists from Hyderabad visit this temple with utmost devotion. Madurai is well connected by rail, air and road from Hyderabad. Hyderabadis can either take Rameshwaram Express from Hyderabad to Madurai or alternatively can reach Chennai and take a train or bus to Madurai. Also, there are a number of private buses operating from Hyderabad to Madurai. There is a direct flight from Hyderabad to Madurai operated by SpiceJet and there are a number of other one stop flights via Chennai that one can take. Holidays DNA offers exclusive Madurai tour packages from Hyderabad for tourists visiting this temple city from the city of Nizams. Madurai is a popular tourist destination famous for its temples, especially the Meenakshi Amman temple. Meenakshi temple is the abode of Goddess Parvati in the incarnation of Meenakshi and her consort Lord Shiva, in the incarnation of Sundareswarar. With its towering gopurams, beautiful shrines of Meenakshi and Sundareswarar, the sacred temple tank, and various Mandapams; Meenakshi temple is the epitome of architectural excellence. 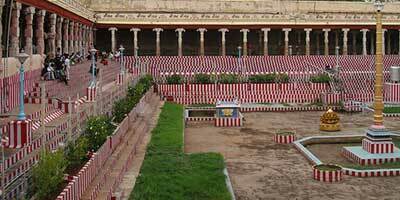 Tourists visiting Madurai cannot miss a trip to this temple of great historical importance. Koodal Azhagar temple is another famous temple in Madurai, known as the abode of Lord Vishnu. It houses the idols of Navagrahas. Thiruparankundram temple that houses the abode of Hindu god Murugan is another famous tourist spot in Madurai visited by most of the tourists, next only to the Meenakshi temple. Apart from temples, Madurai is famous for other attractions like Gandhi Museum, a museum set up in the memory of Mahatma Gandhi after his assassination; Thirumalai Nayak palace, a palace of architectural beauty built by King Thirumalai Nayak; Adhisayam, a water theme park; Vandiyur Kanmoy Tourist complex, a tourist complex with boating facilities and a children’s train; and Rajaji Park, a recreational children’s park. For Hyderabadis visiting Madurai, Holidays DNA makes sure that they visit all these places with the tailor made Madurai tour packages from Hyderabad offered to them. Madurai is a beautiful city attracting hordes of tourists from all over the country, especially from Hyderabad. From temples to monuments to parks, Madurai offers something for everyone. Holidays DNA makes sure that your trip to Madurai is well organized and equally enjoyable with the umpteen number of Madurai tour packages from Hyderabad designed exclusively for Hyderabadis visiting Madurai. Contact us for more details and get ready for a wonderful trip to ‘Athens of the East’. If you are looking for a spiritual break then plan a trip to Rameshwaram. One of the most popular pilgrim centers of India, Rameshwaram is a small island located just 572 km away from metro city of Chennai. This holy place is known for its association with the Lord Rama who worshipped Lord Shiva here after killing the demon King Ravana. While on his way back from Sri Lanka, he offered his prayers and thanked the Lord Shiva. The temple of Rameshwaram captivates devotees with its theerthas or wells which are located in and around the main temple. This small island presents tourists with a refreshing and soothing environment to seek blessings of the almighty. If you are concerned about planning the tour and making the required arrangements then you need not worry as we at Holidays DNA offer our customers with an extensive range of Rameshwaram Tour Packages which are designed after taking varying requirements of tourists into considerations. Not just these, we have tour packages from various locations to Rameshwaram, ensuring a hassle free tour to everyone. 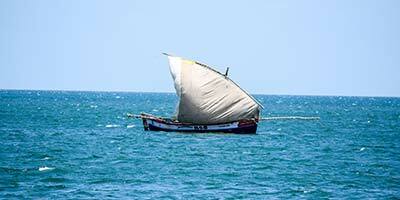 For travelers from the city of Hyderabad, we have exclusive Hyderabad to Rameshwaram Tour Packages. Our tour packages cater to all kinds of holiday ideas. No matter what is your budget limit or what are your requirements, we promise an enjoyable vacation to all. From a tour with family or a trip with your partner you will get a suitable tour package from our extensive collection. We present high quality and timely services to all our customers. In all our packages, we offer a few basic facilities, ensuring a comfortable holiday to all. For instance, services booking of tickets (flights, trains and buses), reservation at a hotel (2 star to 5 star) or a resort or lodges of your choice, booking a/c and non a/c cabs for commuting within the destination, arrangement of guide if you require as well as arranging special services like baby sitting or wheelchair, etc. are offered in almost all our packages. All you need do is to inform our travel experts about your preferred dates and budget to get a perfect tour plan which is as per your requirements. Our travel experts take personal interest in each and every holiday plan they make and thus offer every customer with all the important information such as best time to visit, darshan timings, expected tourist behaviour, etc. To reach Ramerswaram from Hyderabad you need not worry much as there are various transportation choices available. As there is no airport in Rameshwaram you can take a flight to Madurai Airport which is approximately 148 km away. The nearest railway stations to Rameshawaram are Mandapam (MMM) and Madurai Jn (MDU), which are well connected to the Hyderabad city. travelling via road, it will take you about 18 hours to cover this distance. Tourists can hire cabs from Hyderabad to Rameswaram. There are umpteen numbers of buses as well which run at regular interval from Mandapam and Madurai. 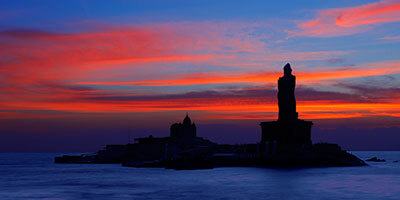 Also known as Cape Comorin, Kanyakumari is the southern-most end of the Indian subcontinent. Located in the state of Tamil Nadu, this place boasts of umpteen numbers of temples, churches and various stunning statues. It offers a beautiful amalgamation of ages old culture with the modern day to lives, even the cuisine of this place represents the same. Along with mesmerizing scenic beauty, a Kanyakumari tour offers you with a multitude of sightseeing options such as Mathur Hanging Trough, Padmanabhapuram Palace, Sitharal Jain Monuments, Thiruvalluvar Statue, Udayagiri Fort, Vattakottai Fort, Vivekananda Rock Memorial and many others. The best time to visit this beautiful destination is from the month of October to March. However, if keen you can visit Kanyakumari at any time of the year. In spite of a perfect destination many of us postpone our trips for the fear of arrangements and research which is required for planning a holiday. To make your holidaying stress free Holidays DNA, a leading tour agent, has come up with a varied range of tour packages. And the good news is that we have designed amazing array of Kanyakumari Tour Packages from various cities and towns of India. Whether you are looking for a honeymoon trip or a relaxed family holidays or an adventure tour with friends, you will get all kinds of holiday packages. All you are required to do is to tell our travel executives about your needs and your specific budget to get a suitable tour packages for yourself. We do offer customized tour plans as well. For our customers form Hyderabad we offer various kinds of Hyderabad to Kanyakumari Tour Packages as well. We strive towards making every holiday a memorable one for our customers. Hence we ensure that our services are offered on time and are of international standards. We take care of almost everything related to your travel. From accommodation to travelling to eating, we ensure that you get the best possible deal. Some of the common services that we offer are booking of travel tickets which includes all the three modes of transportation such as flights, trains and buses, room reservation at your choice of accommodation - hotel (2 star to 5 star) or a resort or lodges, booking of taxis, both a/c and non a/c for commuting within the destination, etc. In case of special requirements such as wheelchair or babysitting or a guide, we make arrangements of those as well. If travelling via air, you need to take a flight from Hyderabad to Thiruvananthapuram International Airport which is at a distance of 82 km from Kanyakumari. The nearest railway station to Kanayakumari is Trivandrum Cntl (TVC). The train Sabari Exp which run from Secunderabad Jn (SC) to Trivandrum Cntl on all the weekdays is one of the best options to travel to Kanayakumari. From here you can take a cab or auto the destination. The distance between Hyderabad to Kanyakumari is almost 1256 km which can be covered in almost 20 hours if travelling via road.